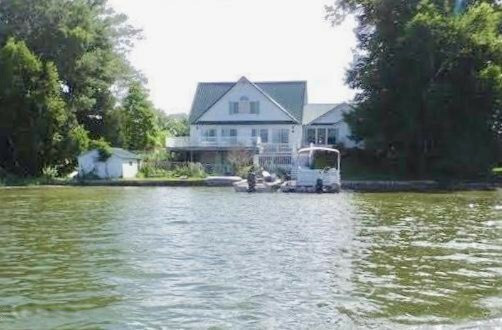 Amazing Waterfront home on a peninsula with 135' of sandy frontage on both Horsehead Lake and Big John Brown Lake! This spacious 5 bedroom, 3.5 bath home is the perfect home for entertaining. The chef style kitchen features granite countertops, custom cabinetry, center island and raised snack bar. The main level laundry is also set up as a second kitchen. Huge master bedroom! The finished walk out lower level, leads to your private back yard and sandy beach. Oversized 2 car garage along withboat house/shed for storing all of the water toys! Priced well below SEV! Call for your showing today!